This stove is a steel made stove and is fitted with a wrap around water heat exchanger with a built in thermostat to give 6.5KW to water and 4.5KW to room heat. Fitted with a large cast iron door and a cast iron riddling grate. This stove is fully tested and approved to EN13240 for wood and multifuel burning. The Lambda 11 is ideally suited to medium sized properties with the capability to run an estimated 5/7 radiators. 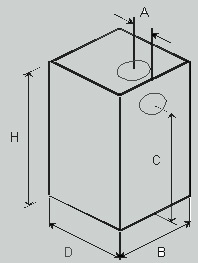 Can be linked into a solar panel heating system. 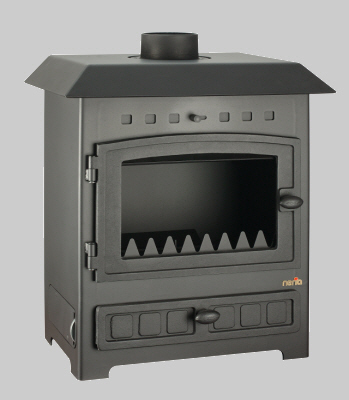 Also available as a 7KW dry stove. Top and rear flue 125mm outlet.